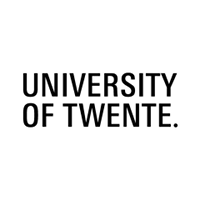 Profile: The University of Twente (UT) is an entrepreneurial research university, located in the east of the Netherlands. One of the focus points is Cyber Security; research in this area is organised within the UT’s Digital Society Institute (DSI). The DSI is one of the largest academic ICT research institutes in Europe. About 450 researchers (250 fte) actively participate in the DSI and the yearly budget amounts to 30 Me. The integration of technology-based research and its application in specific domains has become a clear focus of DSI. Within DSI nearly 30 research groups from 4 faculties joined forces: the spectrum ranges from primarily technology-oriented towards highly application-oriented. The UT is the leading entrepreneurial university in the Netherlands and maintains an extensive international network of contacts and working relations with academia and industry. The university has many spin-off companies each year, well-known examples in the area of ICT include NoWiresNeeded (in 2010 acquired by Intersil), Thuisbezorgd.nl (Takeaway.com), Booking.com as well as SecurityMatters. The UT initiated the establishment of the Netherlands Institute for Research on ICT (NIRICT), that bundles the ICT research activities of the four Universities of Technology in the Netherlands. As such it is also one of the founding fathers of EIT.ICT Labs, that started at the end of 2009, in which NIRICT is one of the academic partners. The UT has long-term experience in participating to European Framework projects (since FP2) and has a track record in managing and coordinating European Framework and national projects. The UT group that participate in this project is the Design and Analysis of Communication Systems (DACS) group. DACS focuses on dependable networked systems, with a special interest on Internet security. Expertise and Role in CONCORDIA: UT will lead WP1 and the T1.2 task for Network Centric Security. It will participate in all WPs and for this project UT will also contribute an existing database of DDoS fingerprints. UT will also participate in CONCORDIA management board.